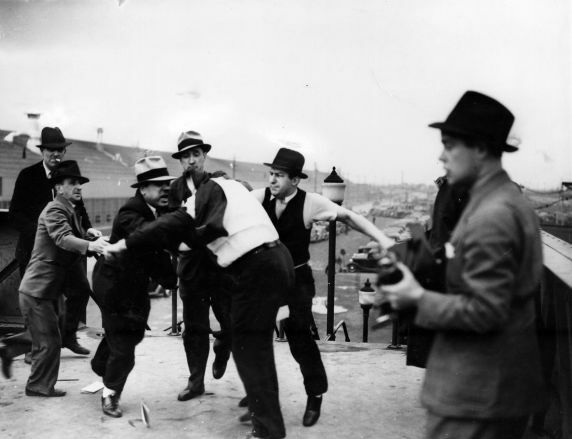 Ford Motor Company Servicemen beat Richard Frankensteen, a UAW organizer, during the “Battle of the Overpass”, Dearborn, Michigan. From left to right: Tellford, unidentified, Angelo Caruso, Commett, Goodman. Frankensteen is in the foreground with his jacket pulled over his head. At the far right are photographers and/or reporters from the local press.